A big driver for Denver is the influx of new residents consisting primarily of the millennial generation, many of whom come here with or without jobs and will inevitably stay here even if the job they have goes away. It seems historically that Denver operates on a continual boom and bust cycle with the only control being all real estate product types must get overbuilt before we know it’s time to stop. Usually that leads to several developers left holding the bag on projects that missed the ideal timing for completion. For the office, retail and industrial projects that entered into strong lease contracts early, that is not a problem. The ones on the back end will find that the market has dried up and new tenants are hard to come by. Although some observers think the end is coming for this cycle in the near term, I think there is another good wave of activity coming over the next three to four years. The weird thing about these real estate cycles is that they all begin and end due to different market forces. Some cycles have been based upon energy industry booms and busts, some related to world security concerns and some related to national financial meltdowns like we experienced in 2008 through 2010. The cycle we are in today started with the overall economic recovery in the United States and the Federal Reserve-induced policy of easy money. It continues for these same reasons even as the economy slows down somewhat but has not fallen back into recession. The policies of the Fed could be all that is saving us but we have no choice but to ride out the wave. Denver and the state of Colorado have really benefited from these national forces and we seem to be doing even better than most markets. A big driver for Denver is the influx of new residents consisting primarily of the millennial generation, many of whom come here with or without jobs and will inevitably stay here even if the job they have goes away. The quality of life in Colorado is so much higher than 90 percent of the rest of the country, very few people ever leave. The recreational options in the Rocky Mountains, the favorable (most of the time) climate, and robust job growth and employment opportunities are enough to attract large numbers of this demographic and keep the ones already here in place. With the fact that on top of all this Colorado is one of only a few states with legalized marijuana, it seems like we have just about got all of the amenities covered. The apartment market really seems to be the harbinger for the continued health of our real estate market looking out over the next few years. Again, the millennial generation seems to hold the key. They appear to be totally comfortable with apartment living, content to postpone starting families and not have homeownership as a primary goal. 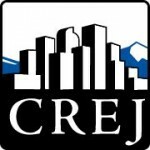 They have rewarding, interesting, stable and well-paying jobs and are attracted to living closer to the downtown Denver market and other centrally located neighborhoods. Although the delivery of multifamily units will create a fairly large bubble of oversupply as this year goes forward, I believe this will be short-lived and these units will be absorbed by late 2017. More newcomers will continue to enter our market and they will initially move into rentals as they become familiar with Denver and get acclimated to the area. This will keep rents from falling much below the projections going into construction even though there will be temporary concessions for marketing purposes in the short term. Contract rents should hold firm but flatten out. The completion of the lightrail system line accessing the Denver International Airport is also a huge positive factor in our continued growth. Prior to this opening, the light-rail system had limited value to only a few people and served only a handful of locations. This option, especially from the Union Station location, will open the system up to a much larger portion of the population. The transit-oriented development sites will see a tremendous flurry of development, as these locations also will be very attractive to the millennial generation due to convenient transportation. The completion of the Interstate 225 portion of the light rail will provide this same benefit to residents and workers in the Denver Tech Center. Eventually, this cycle too will wind down as building and growth will continue until it is obvious that it is time for a breather. This generation can only save us for so long. The end of the current cycle, however, should be relatively painless and then we can get ready for the next one.